Young rider Mackenzie Healy caught up with Bluegrass Horse Feeds for the next Q&A session of the “Behind the Success” series. 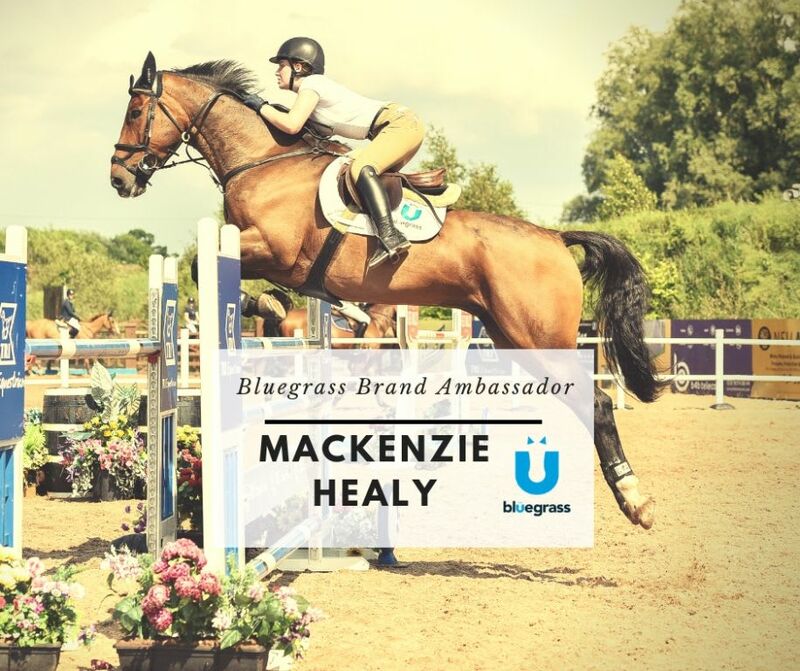 Mackenzie quickly moved into horses at a young age and has been bringing home the ribbons from across Ireland, all whilst juggling her School work. We are looking forward to 2019 for this up and coming rider. Recolpa Rose owned my Robert Good, this was the mare I won the COH in the RDS on. Inca Boy van T Vianahof. The Northern Indoor Championships at Eglinton Equestrian Centre because the atmosphere is electric for the Grand Prix and the Masters. My Pessoa saddle, it fits everything. Pull my saddle forward and take a deep breath. Playing catch up with school work. Bluegrass Re-leve, its excellent for the competition horses because it keeps their stomachs right and gives their coats a healthy shine. Misty, she was a little grey 128. Finishing second in the Junior Nation Cup at Hagan in 2017. It was big jumping and a great experience.